Devils River State Nat­u­ral Area has two sep­a­rate units. The state acquired the Del Norte Unit in May 1988. Twenty-two years later, TPWD acquired the 18,000-acre Dan A. Hughes Unit. The second unit is 13 miles downriver from Del Norte. The natural area contains unique cultural and ar­che­ol­o­gical resources, including Lower Pecos Style rock art. 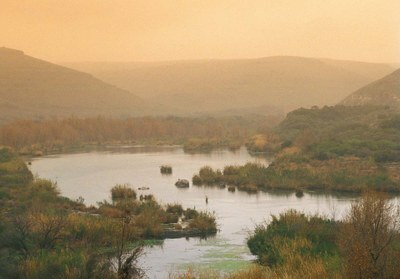 Evidence suggests that cultural influences from the west and east met at Devils River. Devils River preserves sites similar to those lost when Lake Amistad filled. Preserve the past: Look but do not touch, and leave artifacts where you find them.